This tile uses a collection of natural stone pieces working through a range of tones to create this charming, character mosaic. The mottled stone has a brushed finish which lends a rustic appeal to the design, whilst symmetry teamed with neutral tones allow this tile to work wonders in a range of room settings. 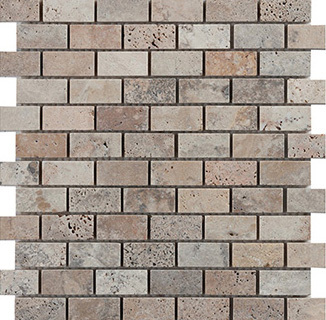 With the Andorra Brick Mosaic you can use it as a border to add stylish accents to your scheme or display over larger areas for a statement effect. 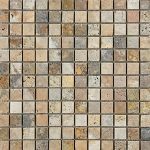 Natural stone mosaic – 305mm x 305mm x 10mm sheet size, 50mm x 25mm tile size.